A trailer makers group is asking a federal appeals court to require that two federal agencies state when they plan to make a final decision on a 2016 Obama-era heavy-truck greenhouse gas rule. Whether revised or kept in place, the rule would regulate trailers for the first time. The Truck Trailer Manufacturers Association claims that the U.S. Environmental Protection Agency and National Highway Traffic Safety Administration essentially have been keeping them in the dark for the past year on how soon they plan to complete their review of the trailer mandate. “If the agencies are unable to commit to either issuing a new proposed rule or announcing that they intend to retain the current final rule within the next 90 days, TTMA will con- sider moving this court to lift the abeyance and set a briefing schedule in this case,” the Aug. 6 court filing by TTMA said. The trailer association said it wants the agencies to provide a detailed status report or it will attempt to lift the court stay and proceed to trial. The agencies are co-authors of the Phase 2 rule. Phase 1 on GHG emissions began in 2014 and was tightened in January 2016. Trailer rules were new for Phase 2, as the earlier rule dealt only with trucks and their engines. Trailer manufacturers have criticized the Phase 2 rule, and in December 2016, TTMA filed the request for review of the rule with the U.S. Court of Appeals for the District of Columbia Circuit. In a move to respond to concerns by the trailer and glider truck industry, EPA announced in August 2017 that it planned to “revisit” its Phase 2 provisions on greenhouse gas emissions and fuel efficiency for medium- and heavy-duty engines. “TTMA would prefer to resolve this matter without litigation. 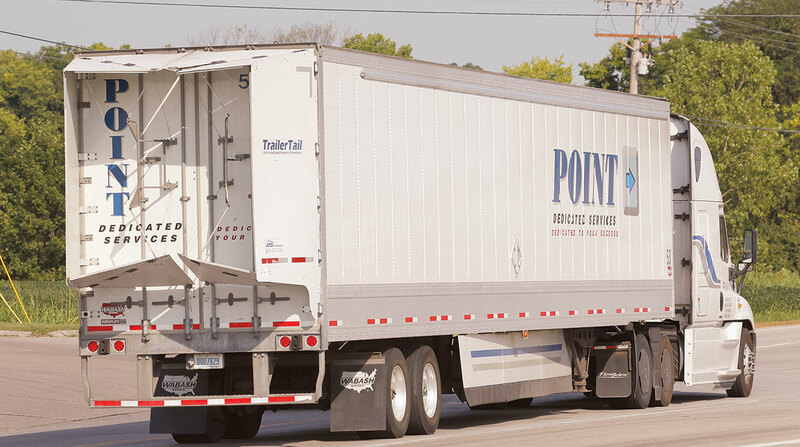 Its members should not have to wait in an indefinite holding pattern without any indication from EPA as to when and whether it intends to announce a reconsideration of the rule,” the trailer makers’ motion said. For that reason, they have advocated that the case be “put on the shelf” with status reports every 90 days. “NHTSA continues to assess next steps after granting trailer petitioner’s request for rulemaking. Respondents will submit their next 90-day status report on Oct. 22,” NHTSA said. Before the court stay, the Phase 2 rule was to start EPA regulation of trailers Jan. 1, 2018. Under the Phase 2 rule, provisions for trucks will go into effect in three stages: 2021, 2024 and 2027. The rule also requires low- rolling-resistance tires and automatic tire inflation or tire monitoring systems for all trailers.